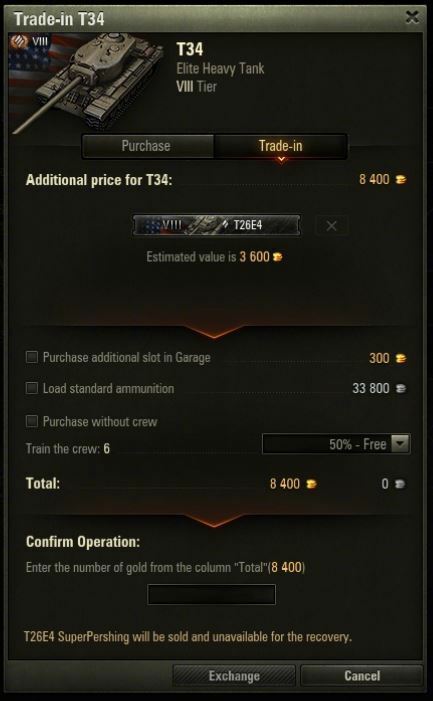 It's Time To Trade In Your Premium Tanks! Are you tired of playing the same old Premium vehicle? Now is your chance to see new machines added to your garage, for a fair price! It is possible to trade in only one vehicle at a time. 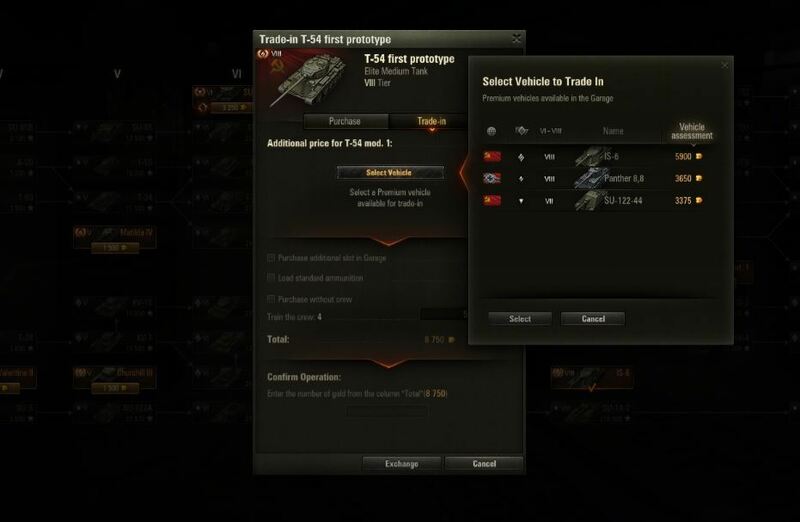 When trading in, half of your old tank's value in gold will be reduced from the price of the vehicle you want to buy.